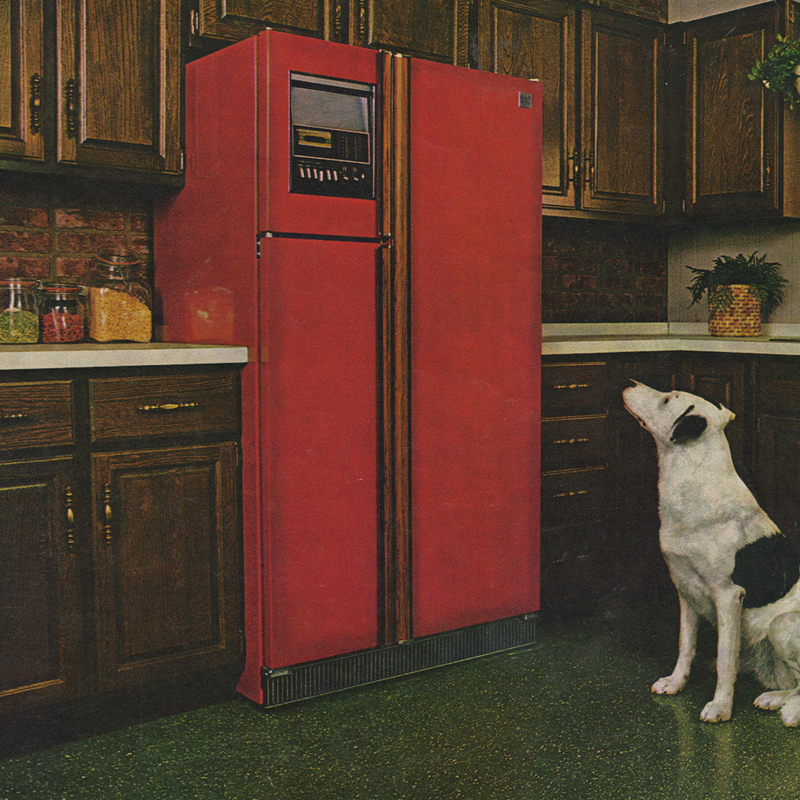 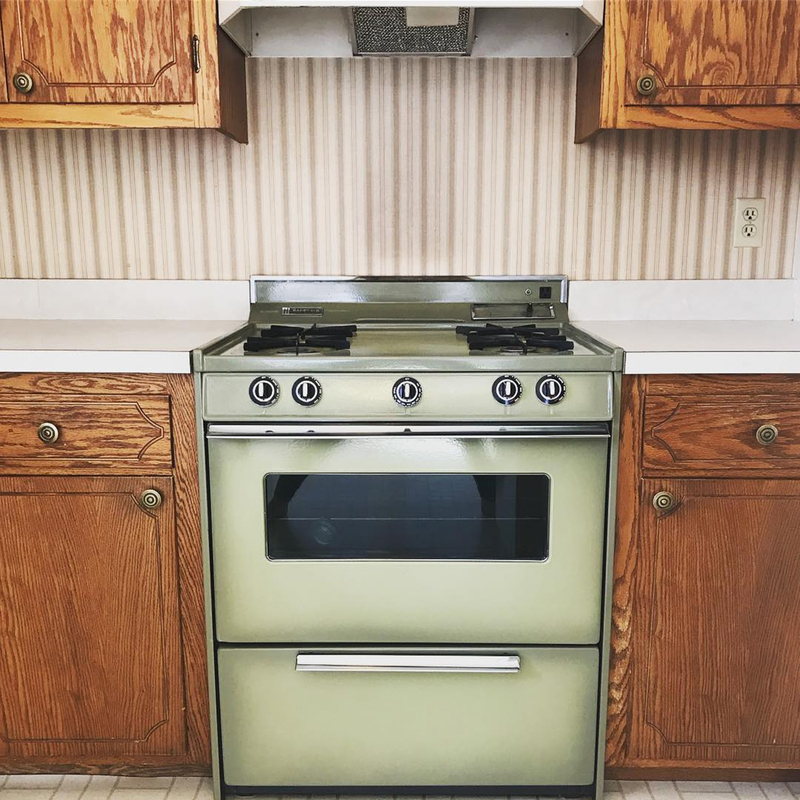 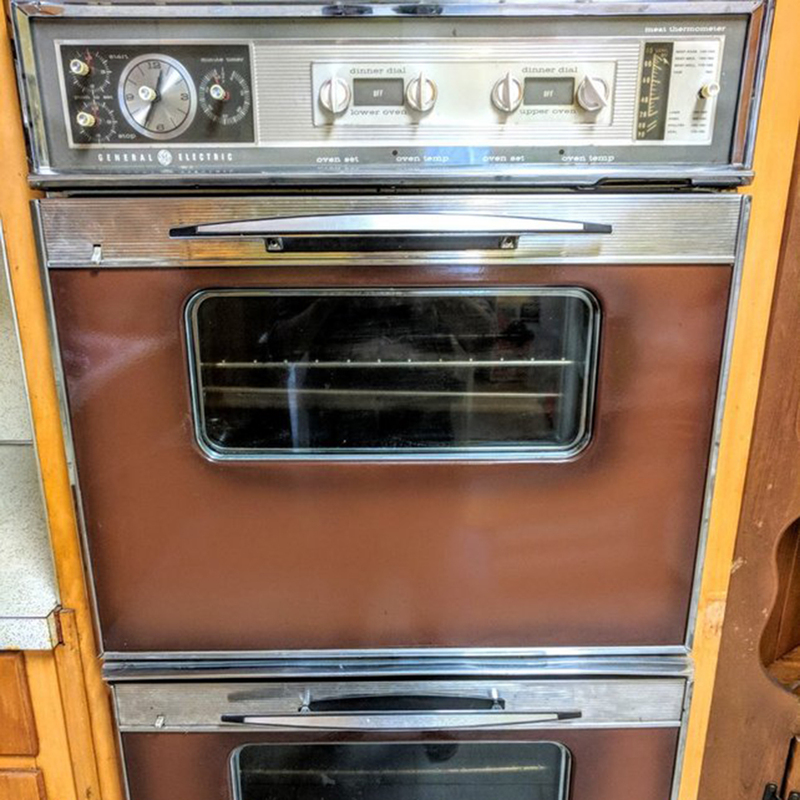 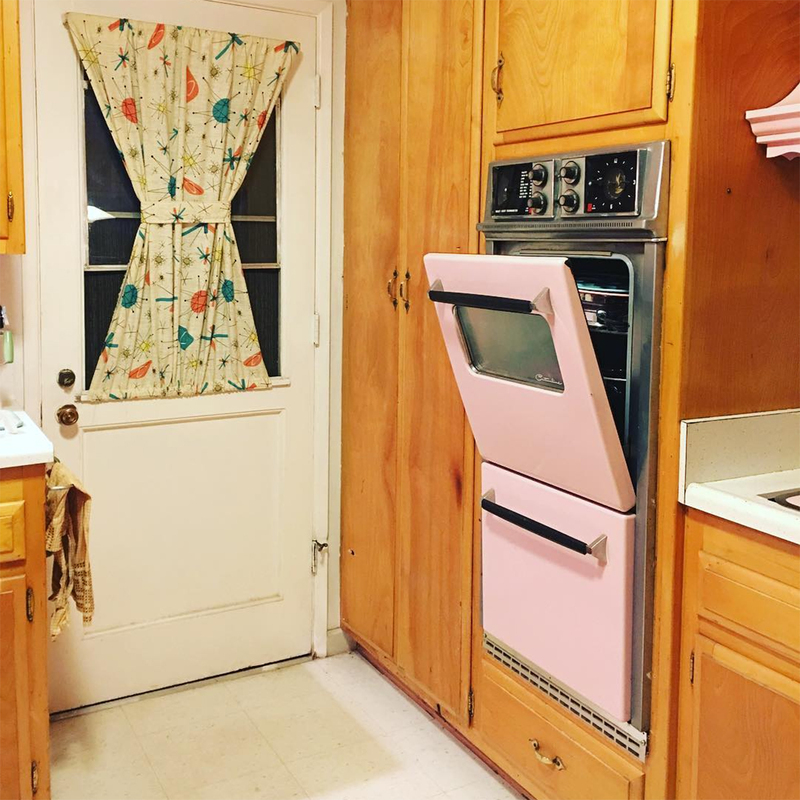 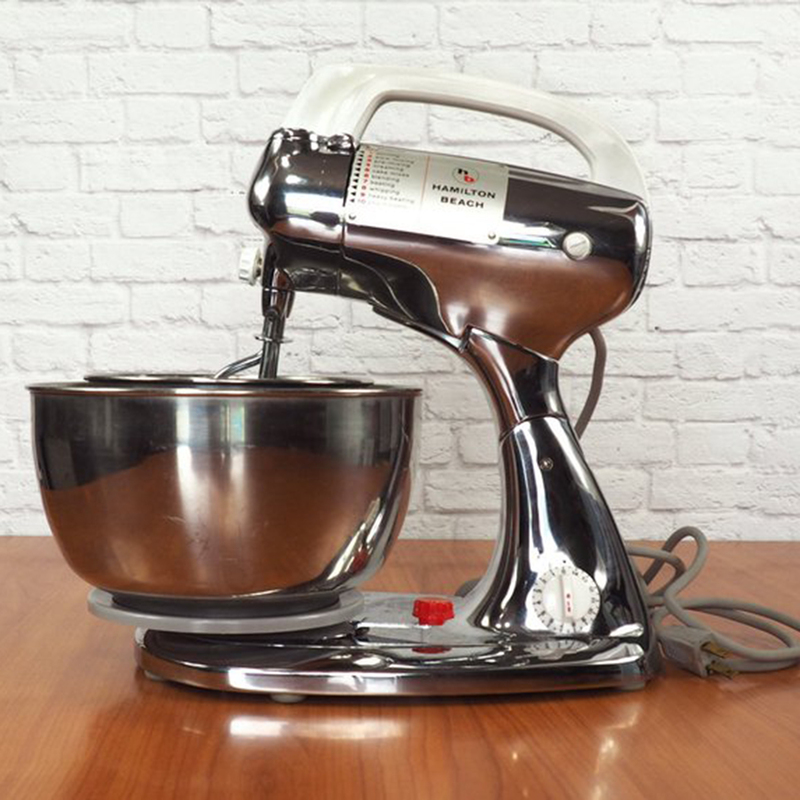 This is another color that is highly sought after in vintage kitchen pieces, especially for bigger appliances like refrigerators and ovens. 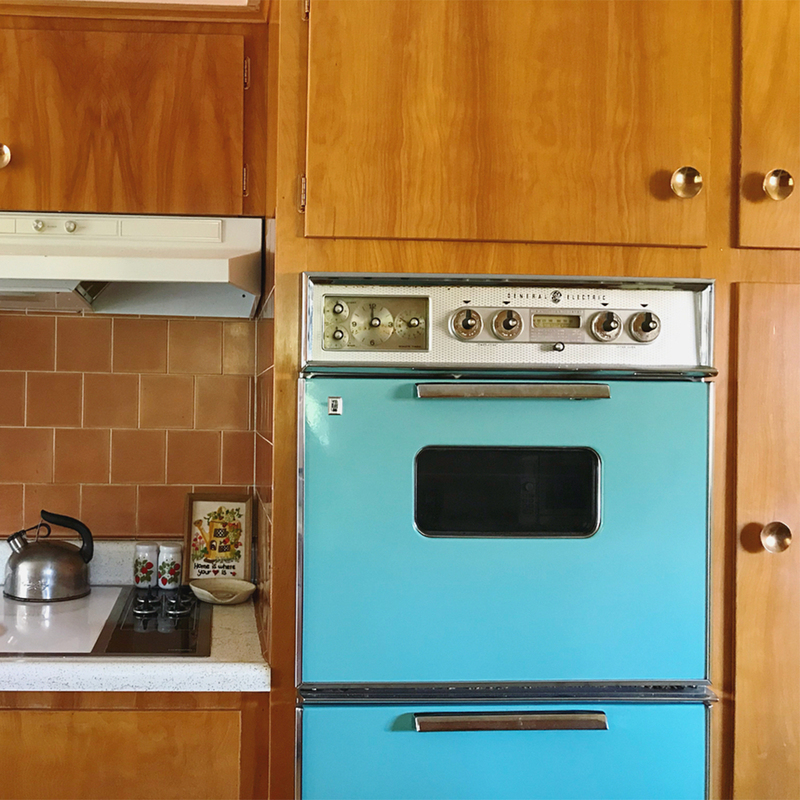 Vivid aqua hues became a popular choice for kitchens in the 1950s, the post-war era that saw a surge of bright and cheerful color in home decor. 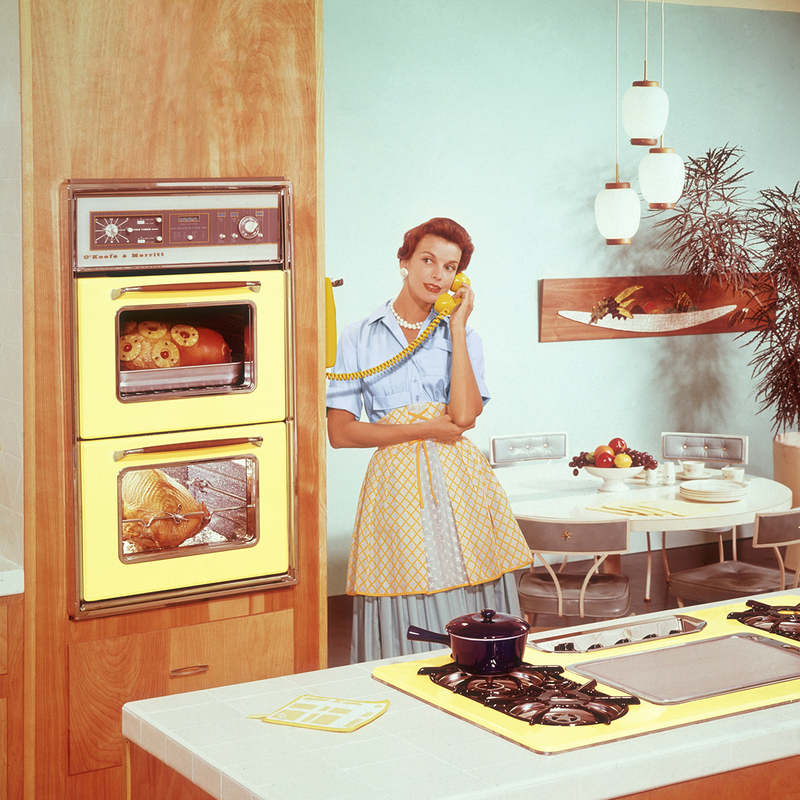 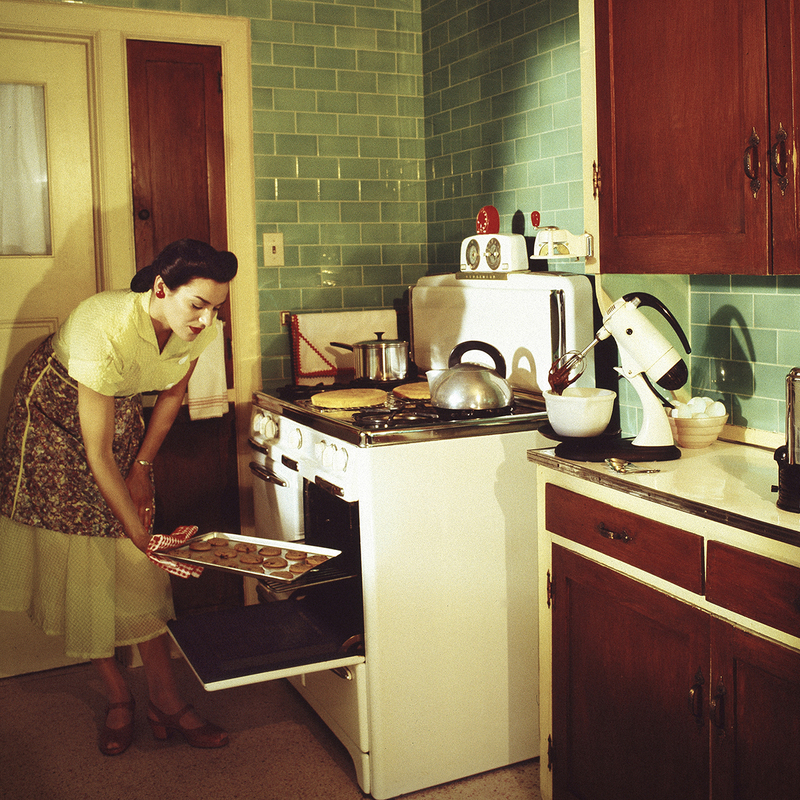 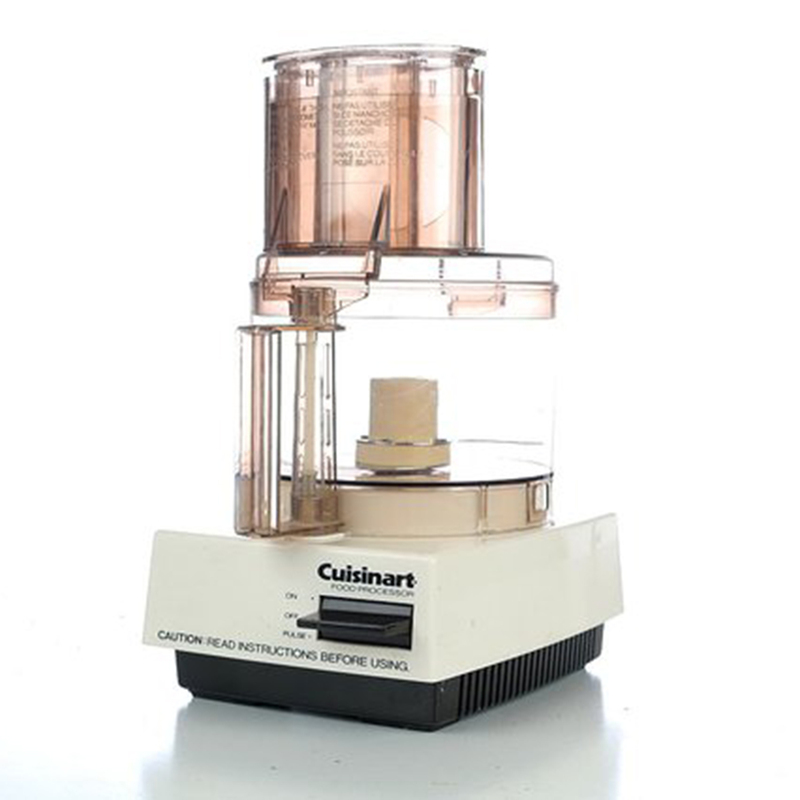 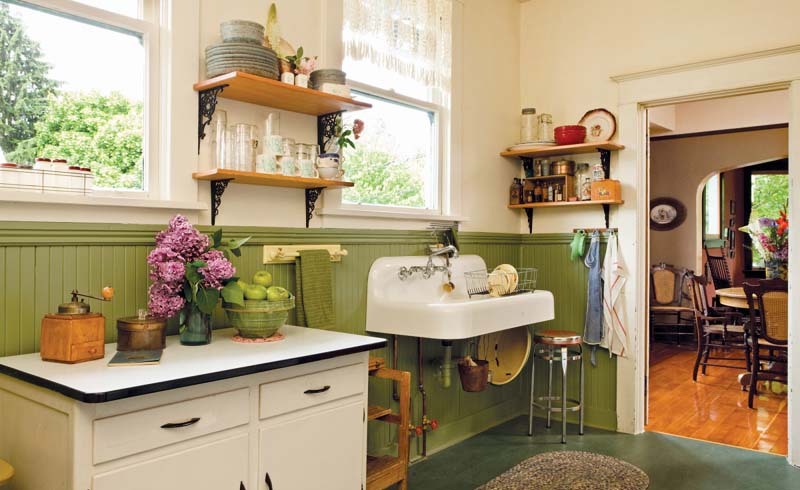 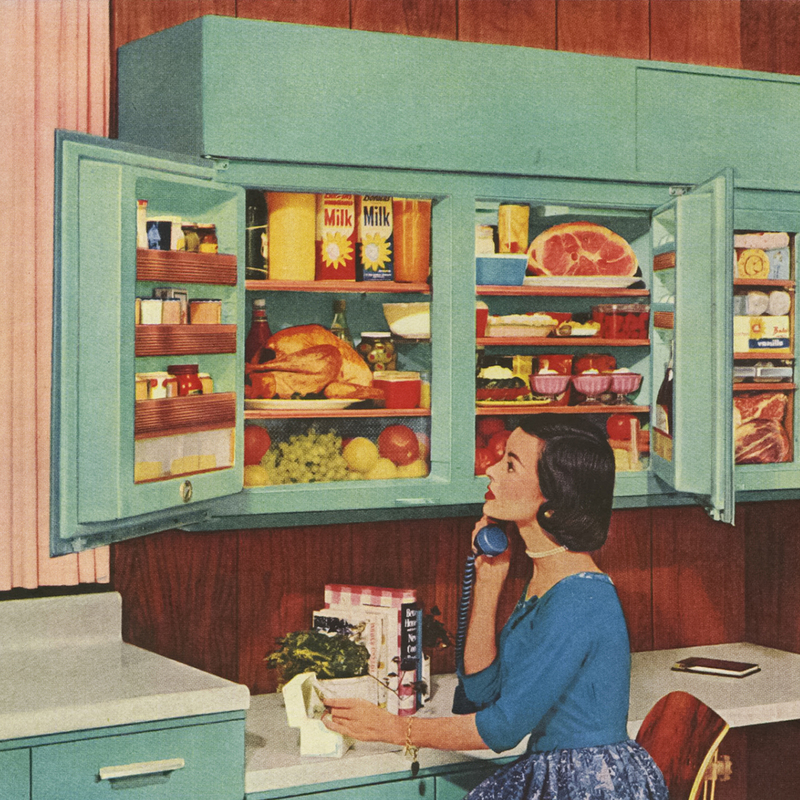 Another cheery, pastel hue of the 1950s, pale yellow brought sunshine to kitchens on walls and surfaces. 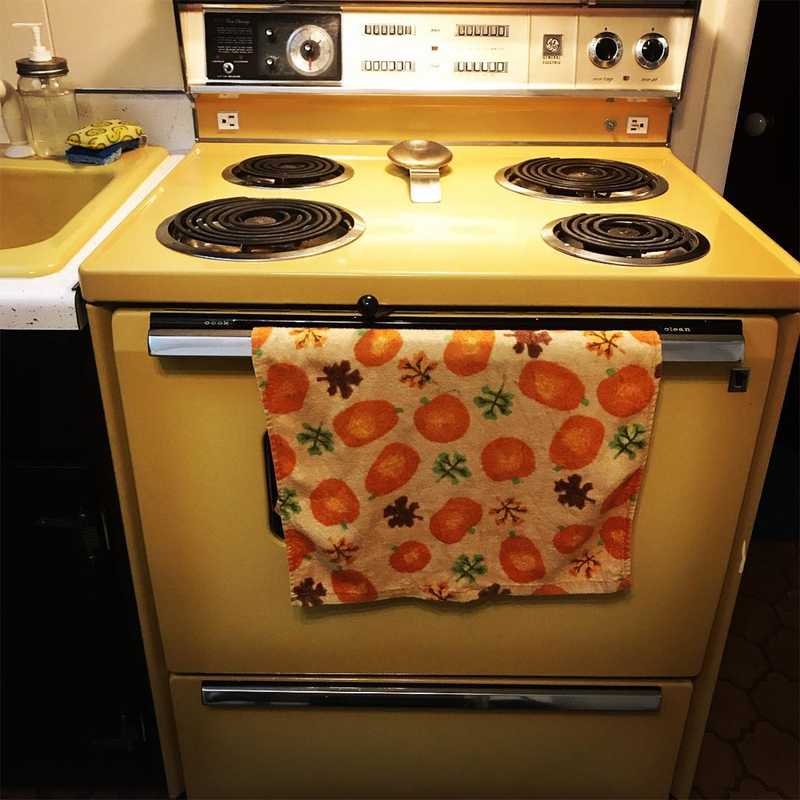 (This kitchen is a perfect example with canary yellow that’s accented with chrome!) 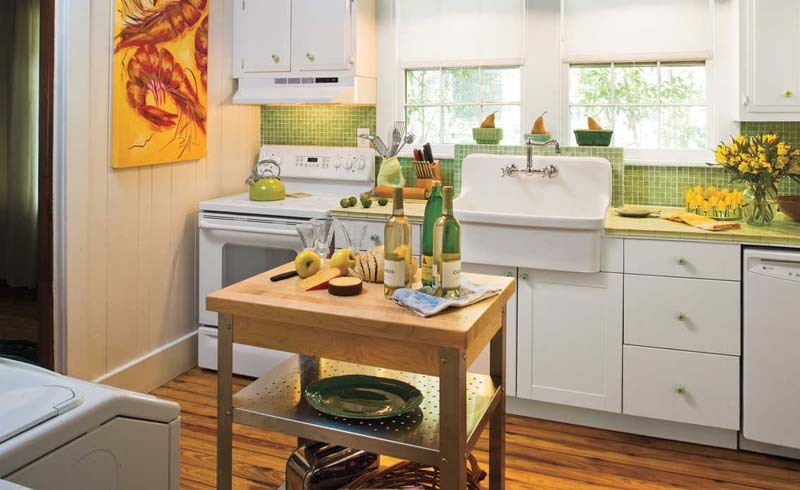 We love seeing this vintage shade bring a splash of color to today’s white, minimalist kitchens, too.